What's the difference between an existing and custom product layout? 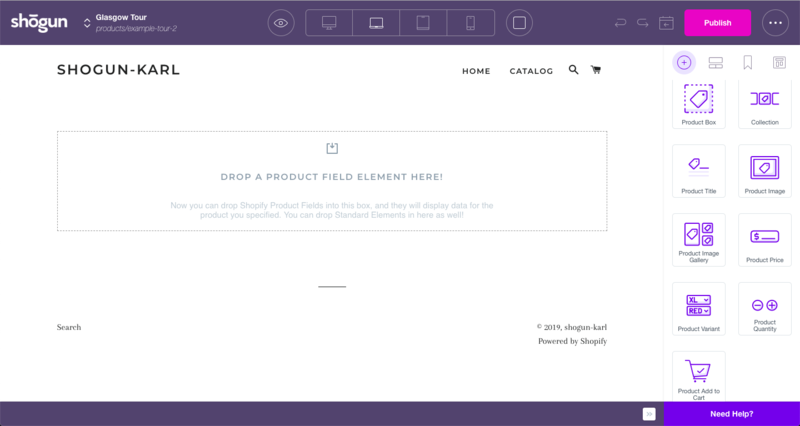 Existing product layouts pull in information from the product template in your theme. Custom layouts allow for a unique experience. When importing a product page into Shogun, you will be presented with the option to either use a "Custom Layout" or an "Existing Layout." When choosing the Custom Layout option, you will be presented with a blank page with a Product Box. Tip: Once you've created a Custom Layout you like, you can save it as a Snippet to quickly & easily re-use that layout on other imported product pages. The Existing Layout option leverages the theme's default product template. This makes it possible to use third-party product apps alongside Shogun content. 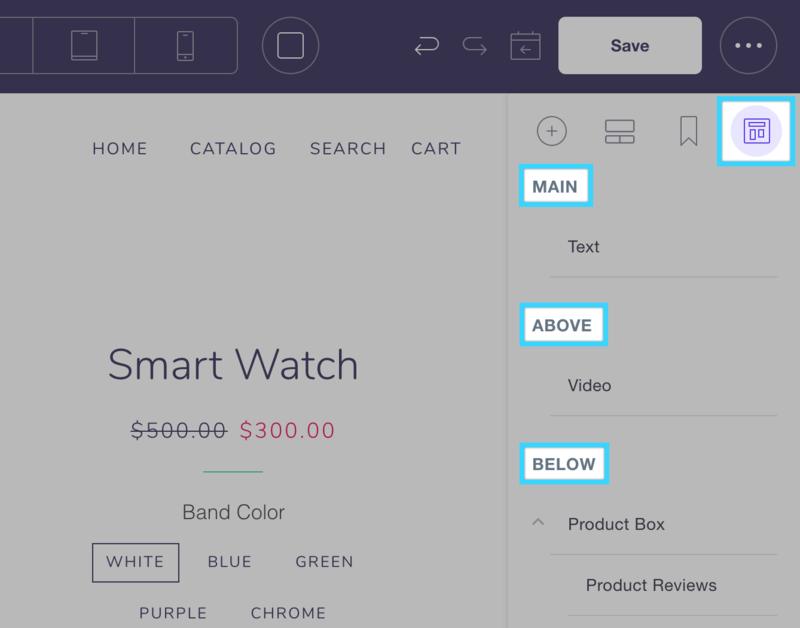 When choosing the existing product layout, you will be presented with a product page with three dropzones: Above, Main, and Below. The "Main" dropzone is what's known as the theme's product description. The "Above" and "Below" dropzones are custom full-width regions that allow you to add extra dynamic content into your product page. You can also view the contents of each dropzone using the Layout panel in the right sidebar.